He is charming, cool, athletic, a good cook, but more importantly, he's a clean freak. Aoyama is idolized and respected by everyone, but they can only admire him from afar due to his mysophobia. Despite that, he plays soccer—a rather dirty sport! As the playmaker for Fujimi High School's soccer club, Aoyama avoids physical contact at all cost and cleanly dribbles toward victory. However, the path to Nationals will not be easy for Fujimi's underdog team. 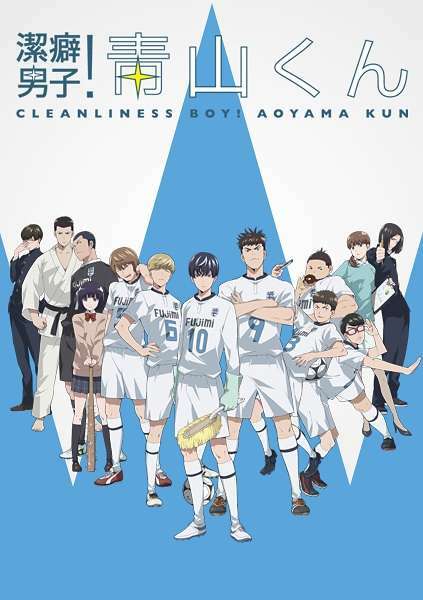 But alongside striker Kaoru Zaizen, Aoyama will show everyone that even as a clean freak, there are things he's willing to get dirty for.